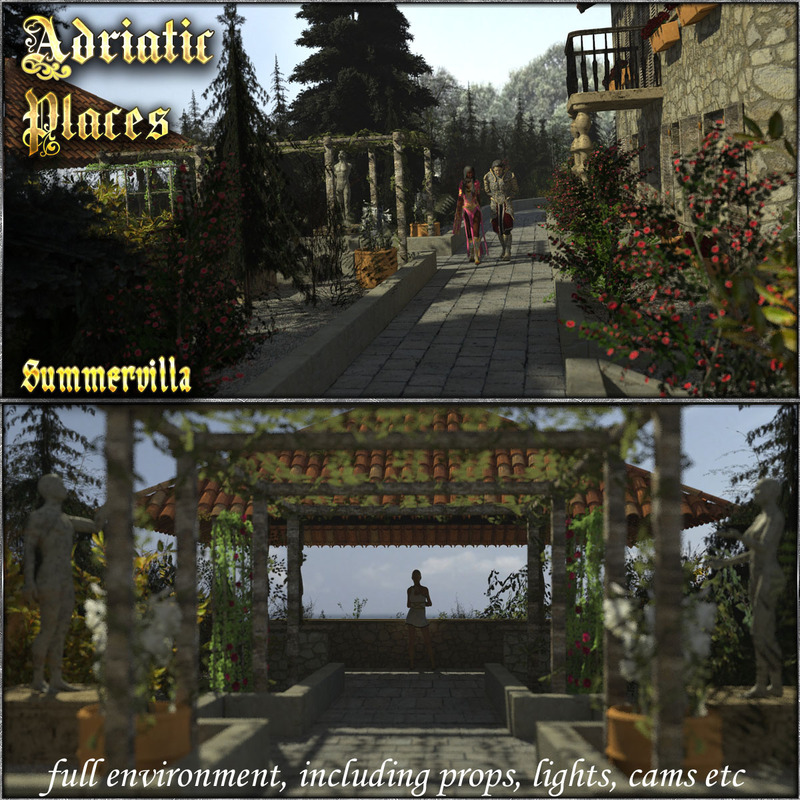 This is a set of a villa, mostly used in the adriatic areas as summer residences. be provided in a separate pack). A footpath on the front leads to a nice pavilion with seaview. Another footpath surrounds the building and gives your figures a nice place for a walk. Rem: Set is build for Poser. Loads OK in D/S with some limitations (check readme). Thanks for using our sets! !